Our first Preference would be Punjab & Himachal. We have reached the pinnacle of success and earned a reputed name by manufacturing high quality range of Printed Bags. 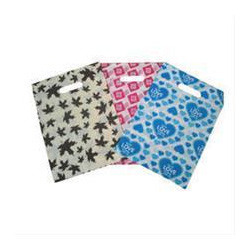 We are one of the leading buying agents involved in printed bag brown & white. These spacious bags are big in size and are comfortable in nature. Having a capacity of keeping many things, this brown bag has white print on it which really attracts the buyers. Specially meant for youth, these brown and white bags are available at market leading prices. we are looking for the inquiry from all over the world.